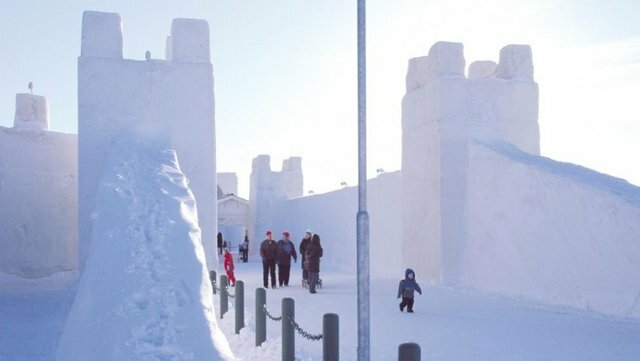 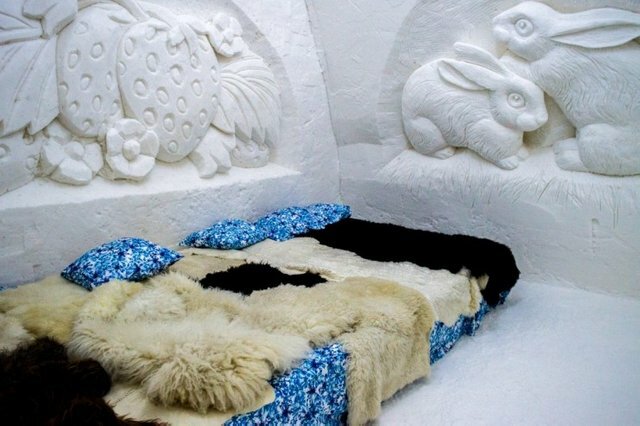 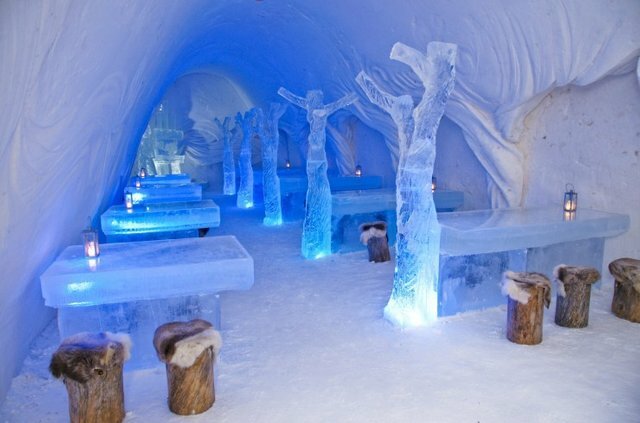 The biggest snow castle in the world houses a chapel, a restaurant and a hotel. 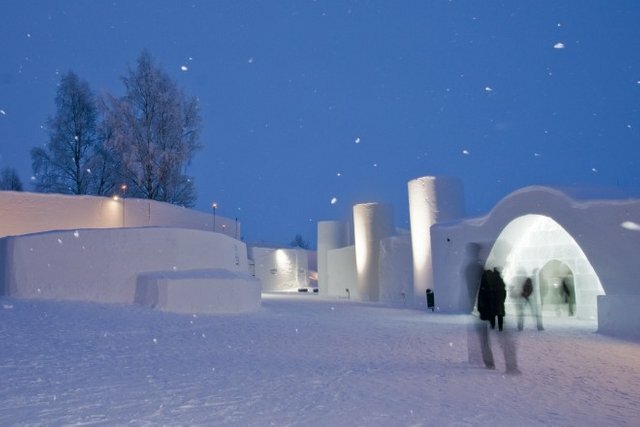 Its tallest towers reach 20 m height, while the walls a 1000 m long! 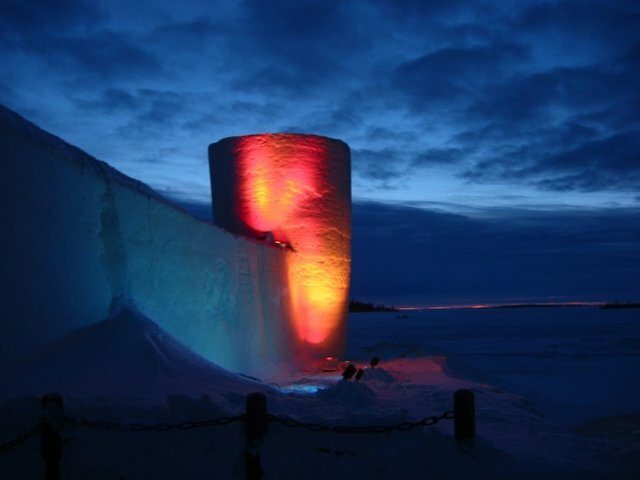 The ice and snow sculptures are enlightened by colorful lights, thus attracting both – couples looking for a romantic winter getaway as well as families with children.